The minister says the economy is not growing at the rate the government wanted to see, with implications including low revenue collection. 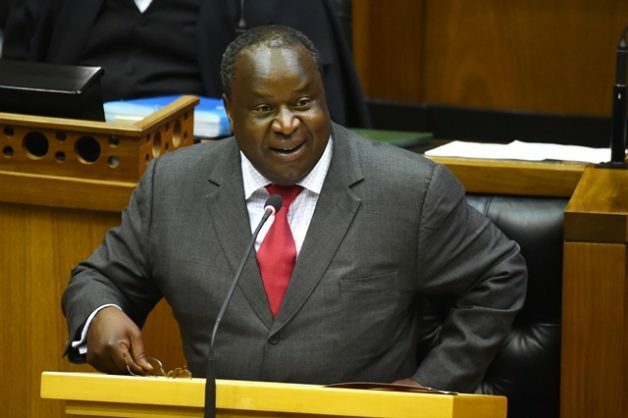 Finance Minister Tito Mboweni said on Friday questions had been raised in Cabinet on whether South Africa was pursuing the correct growth path for its economy, prompting him to convene a discussion colloquium with economists and academics. “The colloquium hopes to come up with ideas based on research and other areas. Several papers have been prepared which form an important part of the conversation,” Mboweni told a media briefing. He said the economy was not growing at the rate the government wanted to see, with implications including low revenue collection. The colloquium will include Professors Ricardo Hausmann and Robert Lawrence from Harvard University. South Africa’s economy emerged from a technical recession by growing 2.2% in the third quarter, but expansion remains sluggish with the National Treasury cutting the overall 2018 growth forecast to 0.7% from 1.5%. Unemployment remains high, especially among black youth, with the official national jobless rate running at over 27% of the labour force. The colloquium is also being attended by the ministers of economic development and trade and industry as well as Reserve Bank governor Lesetja Kganyakgo, government officials, and private sector experts. The outcome of the forum will form the basis of economic policy proposals to be submitted to Cabinet for its consideration in the new year. “The population is not going to wait for the economy to grow. We all want South Africa to succeed,” Mboweni said.